Photos show what appears to be a person dressed like Hitler at a Halloween event near Las Vegas. The pictures were snapped during a trunk-or-treat Halloween event at Veterans Memorial Park in Boulder City, Nevada on Friday. Folks noticed someone dressed up as Hitler, down to swastikas on the side of his sleeve. The posts quickly spread over the weekend across many Boulder City and Las Vegas Facebook pages. The 12-year-old boy’s father said his son was studying World War II and the evil dictator at school. 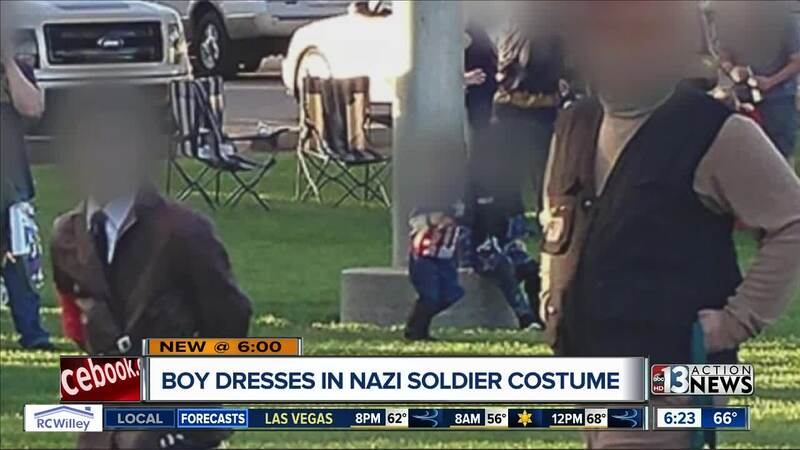 KTNV in Las Vegas spoke with the area chapter of the Anti-Defamation League, who says the costume promotes hate and indifference.